Author John Updike remained friends with IWU Professor James Plath for decades. Copyright James Plath. 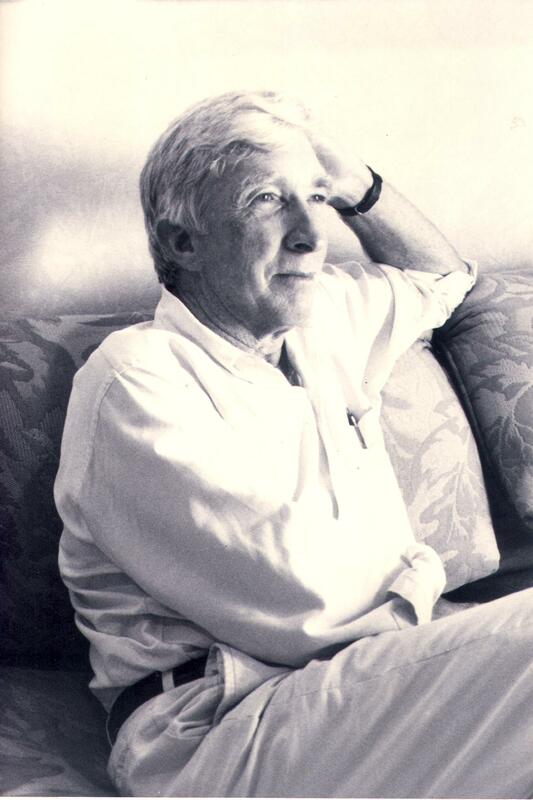 Pulitzer Prize-winning author John Updike often groused about giving interviews. Yet he gave hundreds of them over his long literary career. Illinois Wesleyan Professor James Plath said Updike was often at his most forthright and "playful" speaking with interviewers from the area where in grew up in Pennsylvania. Now Plath has mined that territory in a new book called, "John Updike's Pennsylvania Interviews." Updike visited Bloomington in 2002, seven years before his death at age 76. The occasion was the opening of IWU's Ames Library. Updike received an honorary degree and read several of his poems there. In addition to interviews on such programs as "Fresh Air" with Terry Gross on National Public Radio, the new Plath book includes news stories, profiles, opinion pieces, and even letters to the editor about Updike that appeared in Pennsylvania news outlets. Born in Reading, PA and raised in Berks County, Updike had a sometimes uneasy relationship with his home state, the setting of some of his best-known novels. "With Pennsylvania interviewers, he seemed to let down his guard a little bit more," Plath said. "He seemed to talk knowingly about Pennsylvania to other Pennsylvanians as if this were a private club only Pennsylvanians could figure out , and that it took a member of that club to understand him." What comes across in several interviews is how much Berks County meant to Updike, and helped to shape his literary sensibility. Some of Updike's most famous works, including the Pulitzer-Prize winning novels chronicling his most famous character, Harry "Rabitt" Angstrom, are set in Pennsylvania. Still, Plath quotes Updike in the book's Introduction saying he needed to get away from Berks County. "Some writers like Faulkner have managed to stay in the same turf and write about it, but most of us do need to get away somewhere where they don't have your number, where they didn't know your grandfather, and they don't have you slotted too comfortably in the local society," Updike said. "You need to make yourself anew, and one way, the easiest way of doing that is to move far enough away," the writer added. Nonetheless, many in Pennsylvania Dutch country seemed to have Updike's out-of- state phone numbers and addresses, given the number of interviews he granted to people there. Updike once confessed to Plath that interviews always made him feel "as if I have dirt under my fingernails." IWU Professor James Plath found humorous details about John Updike in interviews and profiles from Pennsylvania. "He hated the way that with interviews, the same weight would be applied by scholars and readers to an item he just tossed off the top of his head at the moment," Plath said. Updike has been called "America's man of letters." In addition to fiction, he wrote non-fiction, poetry and criticism. "He felt an obligation to respond when newspapers asked him to talk about and respond to American culture or the state of the arts and literature America," Plath said. "He felt that that the writer was the only way [through which] anyone could find the truth." Plath, who holds the R. Forrest Colwell chair in English at IWU, is also the editor of a previous book, "Conversations with John Updike," a 1994 collection of short interviews, magazine and newspaper articles. These pieces of journalism are significant, Plath said, because scholars don't have access to Updike's personal letters, at the author's request. Plath said one of the best interviews he discovered researching the new book featured Updike's parents -- Linda, also a writer, and Wesley, a high school mathematics teacher. "His parents are quoted very seldom in newspapers so it was a real treat for me to read. You see the pride," Plath said. The book also contains several humorous anecdotes, including one in which a BBC filmmaker follows Updike during a trip back to Pennsylvania. The filmmaker said he had hoped to record Updike's "Pennsylvania accent," but frequently couldn't understand what the author was saying because Updike's mouth was so often "crammed with Pennsylvania Dutch pretzels, promptly bought and urgently consumed, as soon as we crossed the state line." Plath said some scholars have described Updike as writing "novels of manners," describing life in the mid-20th century -- competent work, but not cutting edge. "I would beg to differ," Plath said. "I think Updike was more experimental than he gets credit for." Updike and Plath maintained a friendship that spanned decades. The author played a significant role in Plath's personal life as well as his academic career. When proposing marriage, Plath said he gave his intended an inscribed copy of Updike's book, "Marry Me," along with an engagement ring. She said yes. 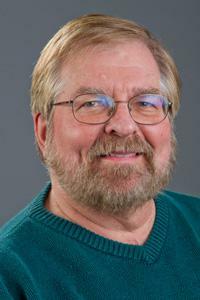 Illinois author Gary W. Moore is mainly known for his non-fiction writing. In "Playing with the Enemy," he wrote about his father's experience teaching German prisoners of war to play baseball. Another book, "Hey Buddy," chronicled the 1959 plane crash that killed performers Buddy Holly, Ritchie Valens and the Big Bopper. Moore now has written a novel that contain threads of a real life story. The Kankakee-born author will discuss his novel, "The Final Service," Friday from 6 to 8 p.m. at the Barnes & Noble in Bloomington. A Twin Cities author is celebrating the publication of her first novel, Badfish. And it's a feat made that much sweeter by the independent path she followed. Experimental fiction is emerging from the thickets of post modernism. 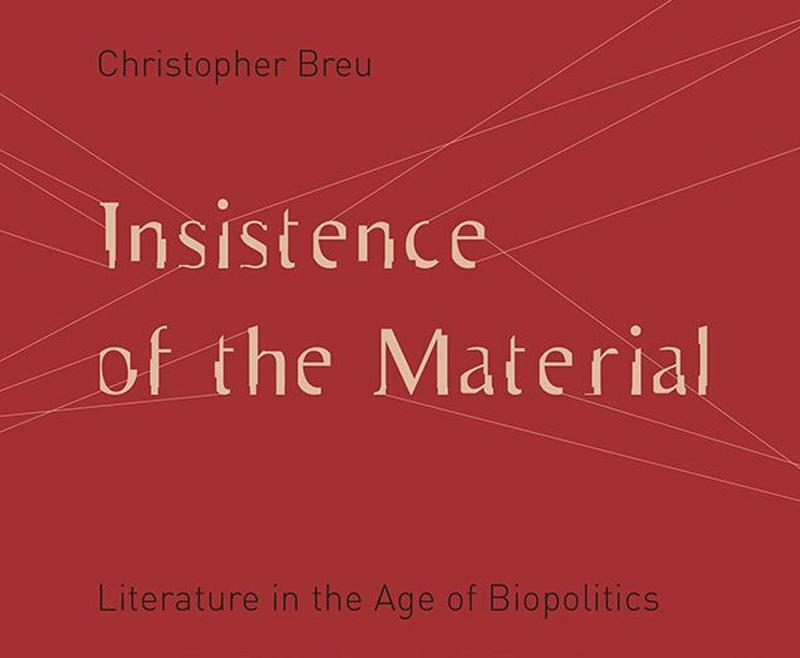 ISU English Professor Chris Breu has a new book out addressing this shift, Insistence of the Material. In this conversation with GLT's Charlie Schlenker, Breu argues for the value of attending to the material world and how that physical world sets limits on social and individual life.